We have had Peterkin Electric take care of our residential electrician needs for almost two years now - ever since we moved to Orange. I rate businesses on customer service, reliability and quality of service and I give Peterkin 5 stars! 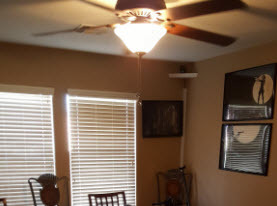 He has provided all kinds of home electrical work ranging from upgrading surge protectors, installing LED landscape lighting and replacing smoke detectors with the 9 year battery warranties. 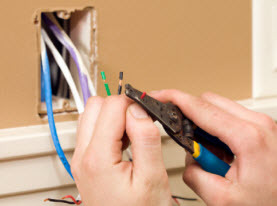 We sincerely appreciate the attention to detail and utmost care the electrical contractors consistently provide. I would feel comfortable calling on Peterkin for everything from a simple ceiling fan installation to whole home electrical re wiring. We have recommended them to many close family and friends for everything from commercial electrical contractor work to a complex audio visual set up. Thanks again Steve! Every time Peterkin Electric has come to our home in Laguna Woods to clear up an electrical problem, they have always been very professional, knowledgeable and diligent in their work. They will do electrical troubleshooting for as long as necessary to resolve the issue. We first had them come out for a simple outdoor light installation. When they did their electrical inspection, they found out I had an old electrical panel which was a fire hazard. I googled it and they were spot on. The technician was so helpful, explaining everything in detail as that I could understand the potential electrical problems. After that great experience, why would we call anyone else? 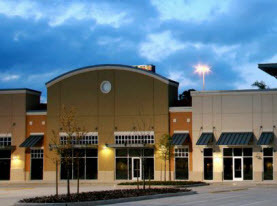 In addition to their residential electrician skills, we have utilized the commercial electrical contractor services at the restaurant where my husband works too. We highly recommend them to anyone looking for a licensed electrician that truly cares about your safety and convenience. Steve, the owner of Peterkin Electric arrived when I called him right around New Years looking for emergency electrician repairs. Steve spent a great deal troubleshooting and inspecting my dangerous wiring during my master bathroom remodel. The electrical wiring was installed decades ago and was a real mess with brittle aluminum wires and lamp cords rather than proper wire material. Steve was an expert residential electrician in changing wires and installing conduit. He pleasantly chatted to me while he worked and I feel so much better that the electrical work is now up to code and safe for my family. We had him do the interior lighting design too and it's perfect. If you need a home or commercial electrician in Orange County, we recommend Steve at Peterkin Electric company. We plan to call him back soon for exterior landscape security lighting. We have used Peterkin Electric before and hold them in the very highest regard. We knew they were outstanding residential electricians because they had previously done our audio visual and whole home automation, all the residential electrical wiring and interior lighting during our bathroom remodel and also our exterior landscape lighting. Anyway, now we can attest to their commercial electrical contractor skills and abilities as well, because we called them out for all of the electrical troubleshooting and electrical work during the kitchen remodeling project at our new restaurant and they did an amazing job. They were thorough, played well with the other contractors and met our near impossible deadlines, working long hours and never once complaining. These guys are the best! Excellent electricians. Peterkin came out and did some electrical wiring for our home remodel. They were polite, accomodating (we changed our minds on the location of the electrical outlets a couple of times) and they did great work. Why would we call any other electrical contractors? We wouldn't! Best local electrician!!! i would recommend him to anyone and everyone! cheapest estimate i received and done in a timely manner! Steve at Peterkin came out and gave us a whole home automation service. It's amazing, I just wonder why we didn't call Peterkin Electric earlier. Steve did a great job. He was professional, had a great attitude, worked quickly and was reasonably priced. We have found our electrician! The guy showed up on time. He did great work. The kitchen lights work again. Thank you Peterkin Electric. He even cleaned up after himself. Best electrician in orange county! Great prices, and great people. Got everything done promptly and professionally. Thanks again Peterkin Electric! I was very impressed with your electricians who worked efficiently, quietly and were nice to have in one’s home. I will be in touch about the kitchen work. Peterkin Electric has come out several times to help in repairing our parking lot lights. They are Great to deal with. Reliable, Dependable and Really reasonably priced. Look forward to working with them again. Thanks Guys! 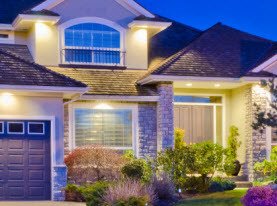 Everyone knows how important it is to have a proper installed electrical system in their homes. Recently I wanted to renew my old one so I trusted Peterkin Electric to do it. The guys where so professional. It was obvious that they knew what they were doing. After all it`s our lifes that we are talking about. Peterkin Electric is the best! I was recommended this company through a friend, and from the start they were extremely professional and reliable, always on time and the price was the best out of all the quotes I got, and certainly didn`t affect on the work they carried out. Unlike other electricians who I have used in the past who were always late, didn`t finish the work, had payment problems with, I didn`t have any of these problems with Peterkin Electric.